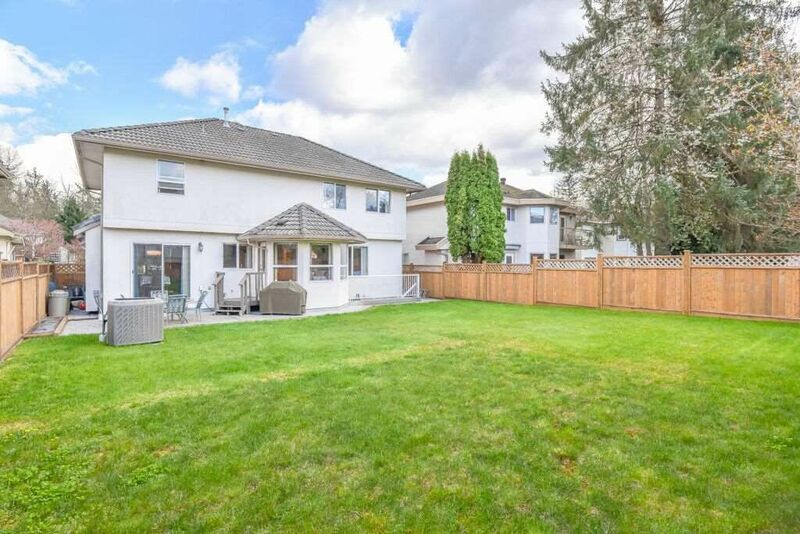 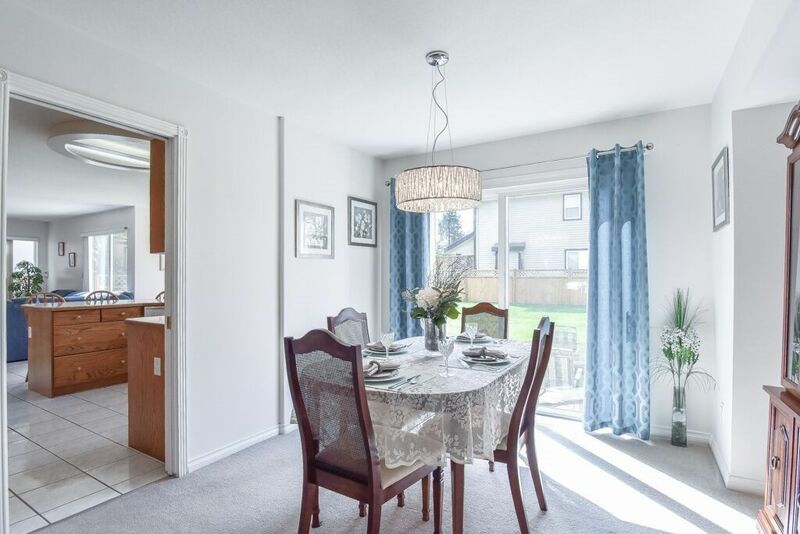 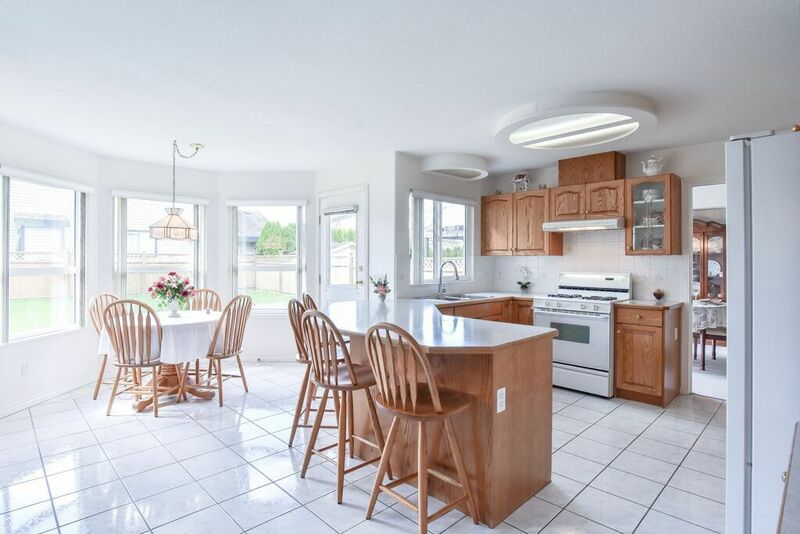 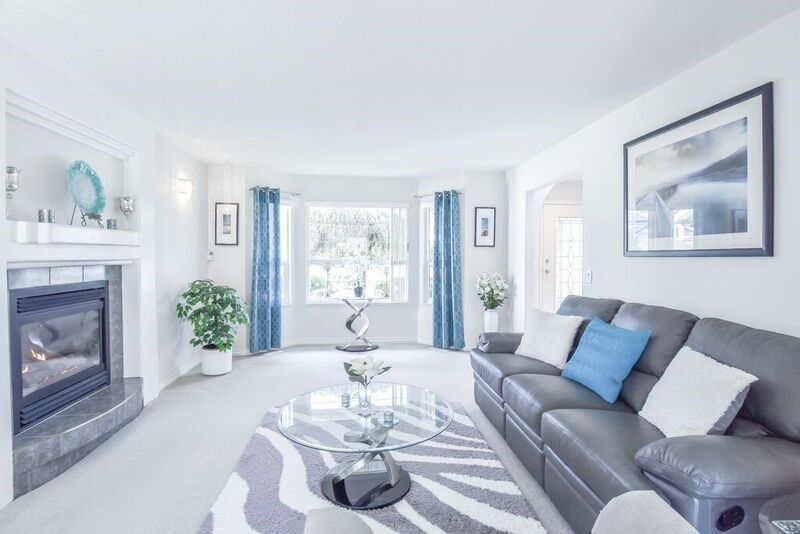 Almost 3600 sq ft, this home will EASILY ACCOMMODATE A LARGE FAMILY w/ 5 beds (+ den). 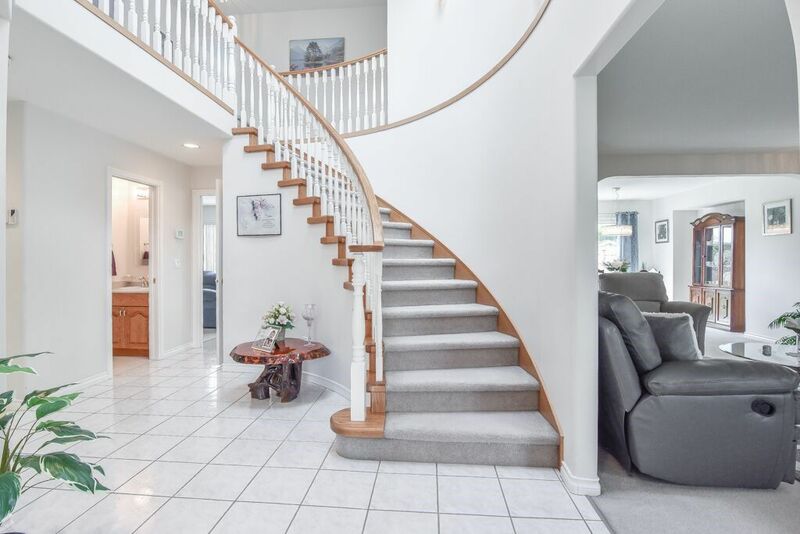 You are welcomed into a grand foyer, w/ loads of NATURAL LIGHT & 16' ceilings. 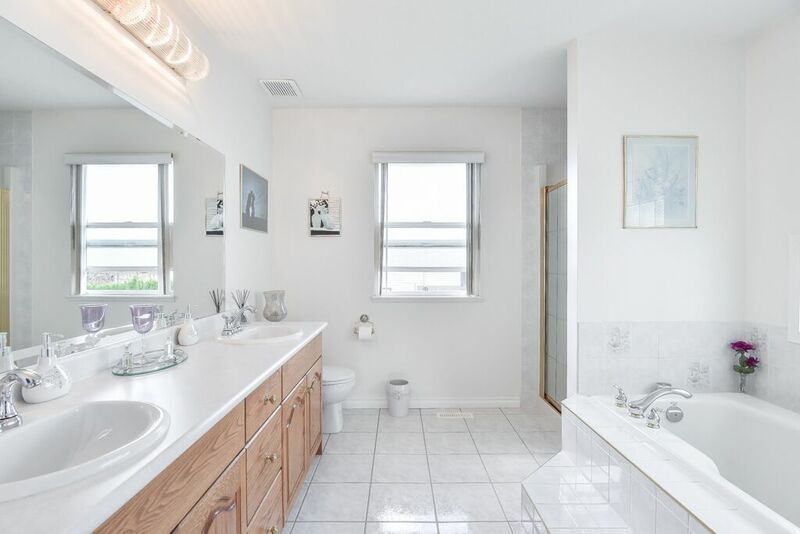 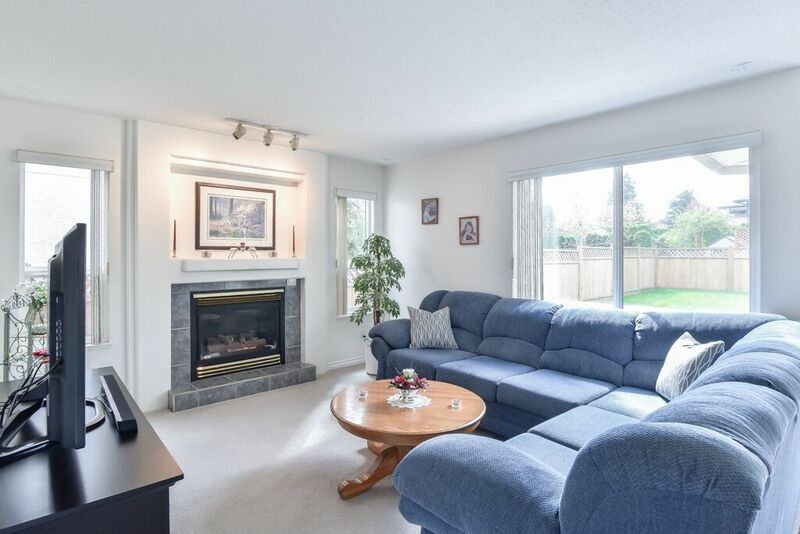 LOVINGLY MAINTAINED by original owners, SPOTLESS, SUPER BRIGHT & in immaculate condition! 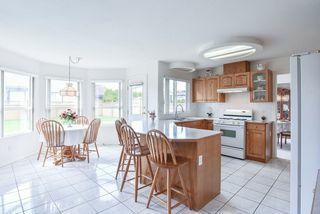 Enjoy cooking in the large kitchen w/ LOADS of COUNTER SPACE, cupboards, gas stove, complete w/ WALK-IN PANTRY, eating area, bay window overlooking the LARGE, PRIVATE, FLAT yard complete w/ gas hookup. Family room off the kitchen has a cozy gas f/place for those chilly nights & CENTRAL A/C for hot summer days! 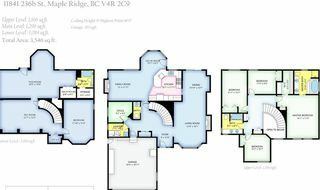 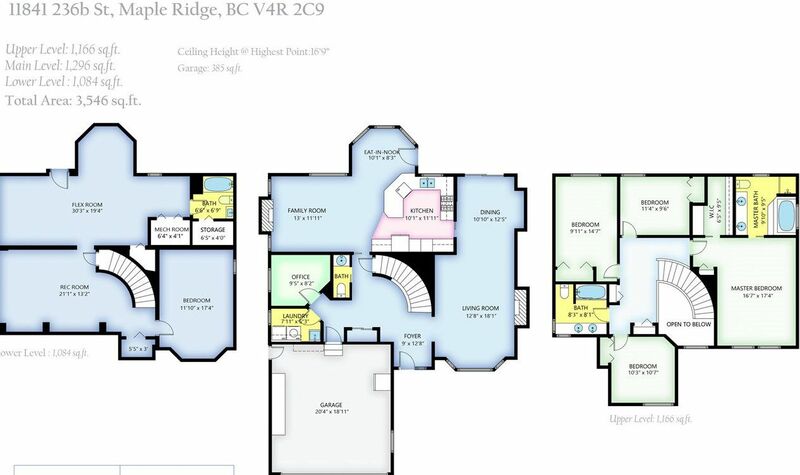 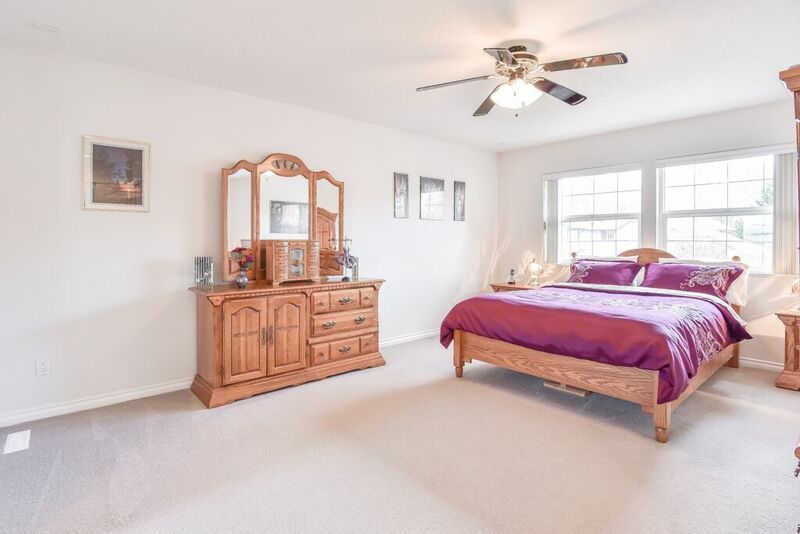 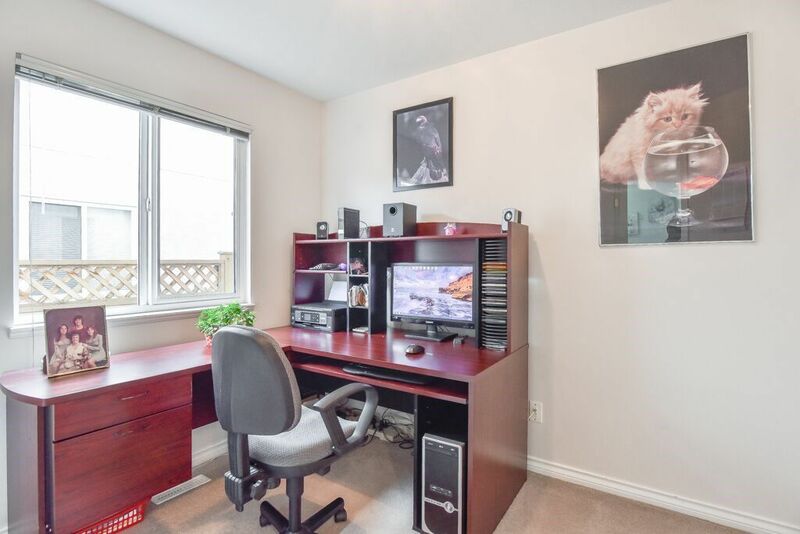 Bedrooms are oversized & master has huge W/I closet, ensuite w/ separate shower & soaker tub. 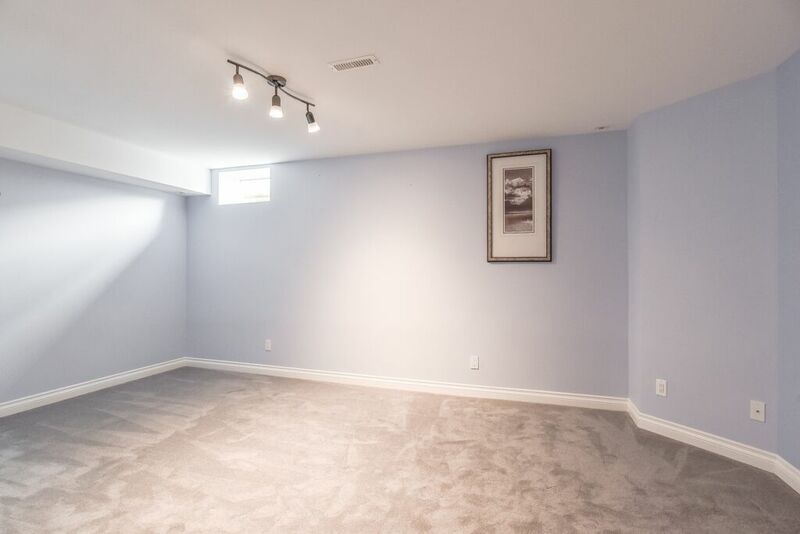 Reno'd basement EASILY SUITED w/ separate entrance & plumbed for kitchen. LIFE-TIME TILE ROOF. 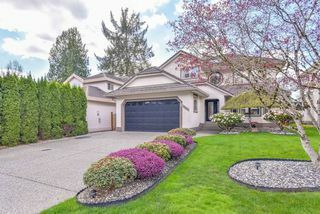 SOUGHT AFTER NEIGHBORHOOD! Come see!! 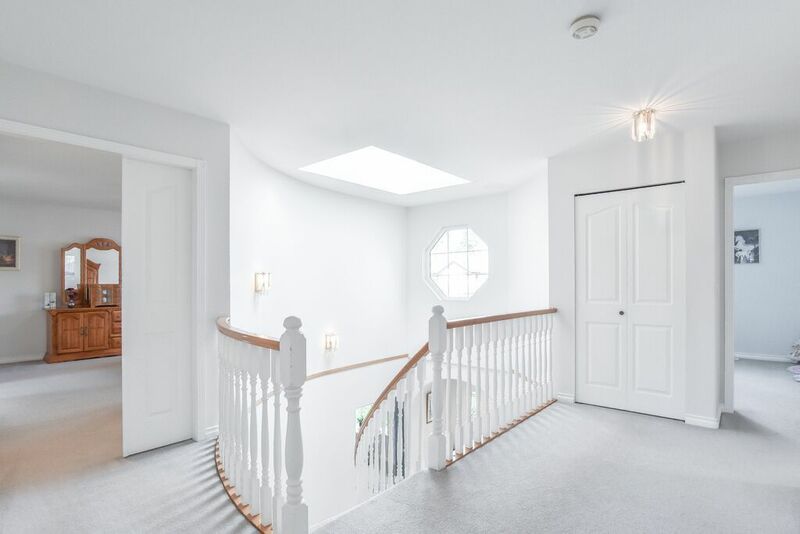 With 16' ceilings and skylight - you are sure to be immediately impressed! 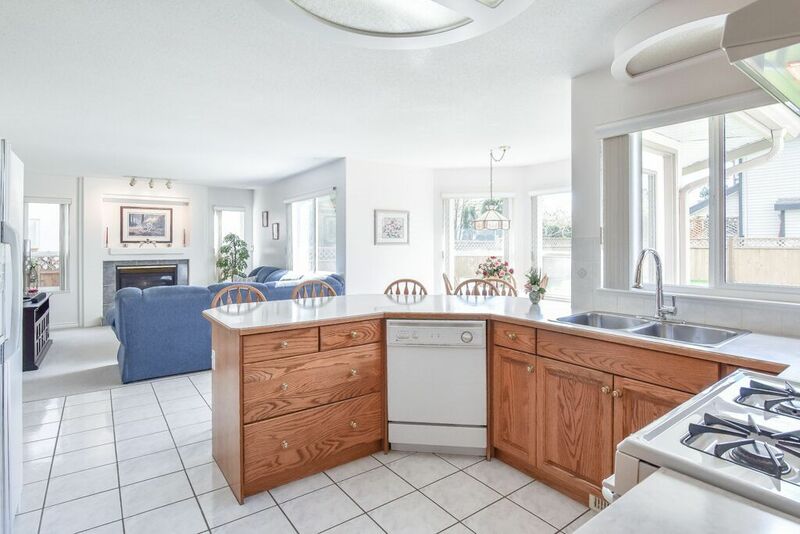 No need to turn on any lights here, windows everywhere in this well laid out kitchen. 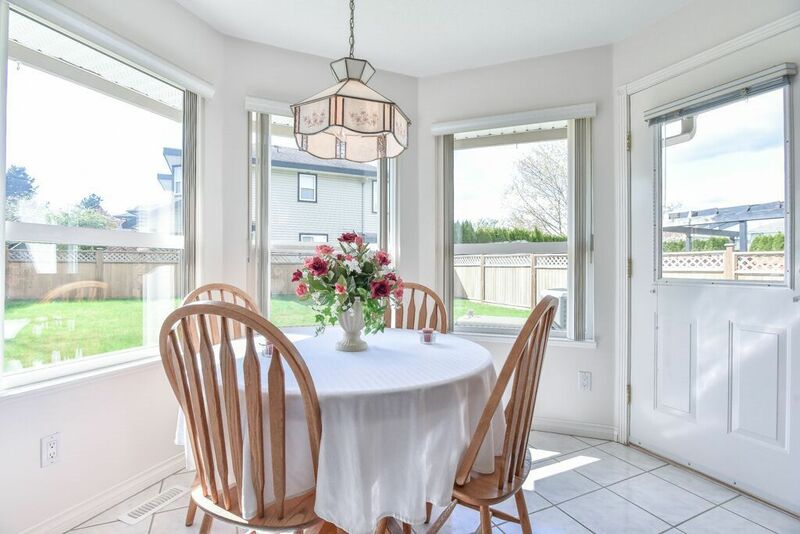 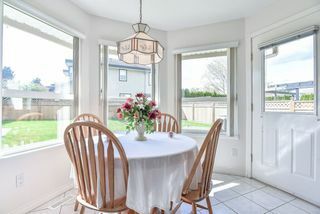 Windows surround your eating area overlooking the large private yard. 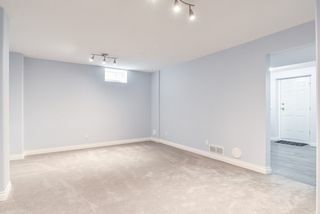 Use as a bedroom, or play room for the kids - huge! Downstairs has many options - easy to add a suite with its own entrance! 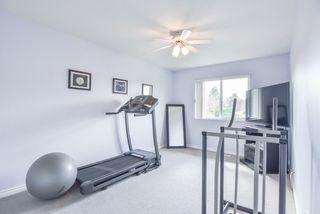 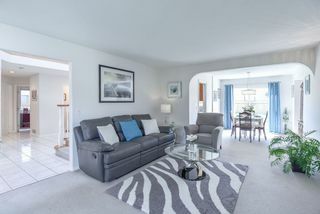 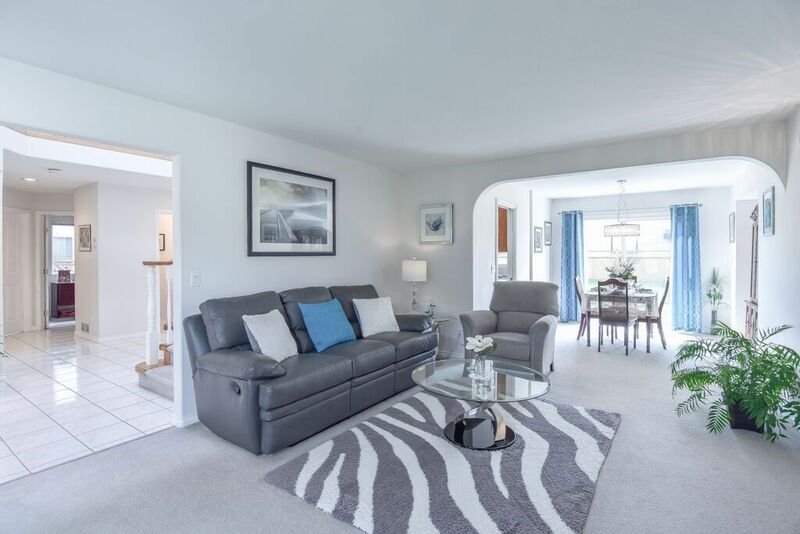 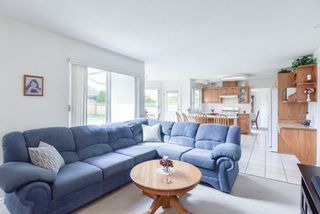 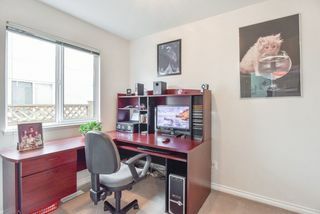 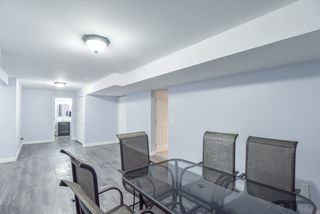 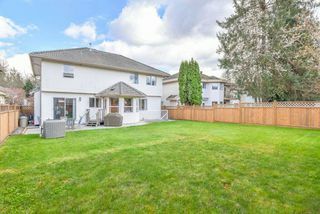 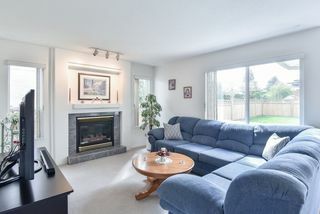 Newly renovated with extra plush carpets - plenty of space here!